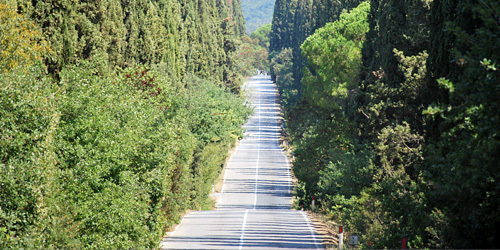 Bolgheri is located at the heart of Maremma Livorno. The village grew around the medieval castle, set on a hill. The resort has become famous not only for the beauty of its landscape including its famous red wines. Among the most prestigious wines are produced here in Bolgheri Sassicaia, the wine and the many native sangiovese wines of Tenuta dell'Ornellaia and Tenuta Guado al Tasso.